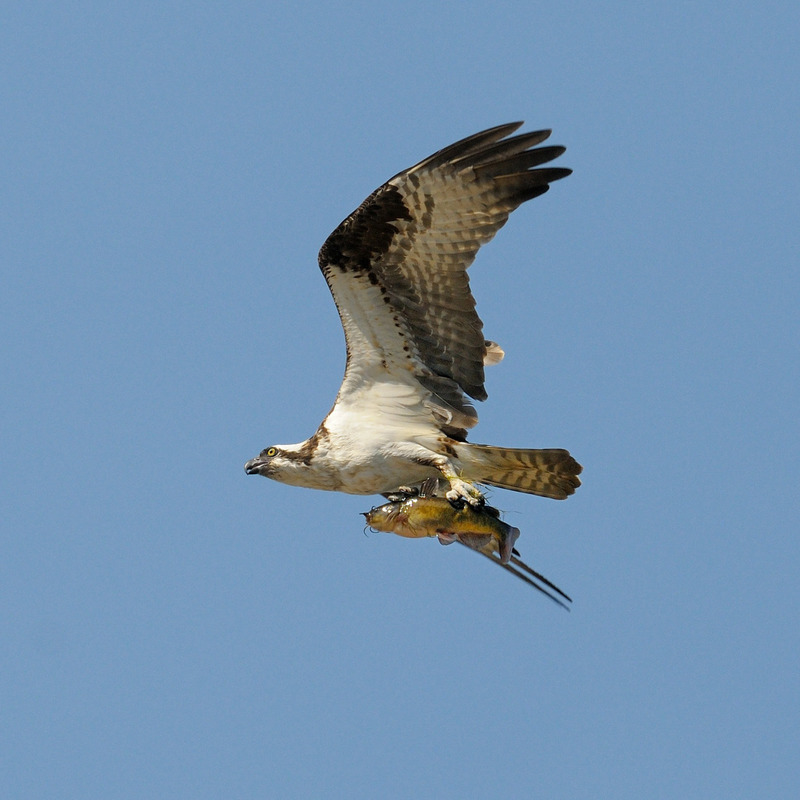 Raptors including osprey, red tailed hawks, and even bald eagles can be seen over the meadow or sailing over-head, sometimes with a meal in tow. 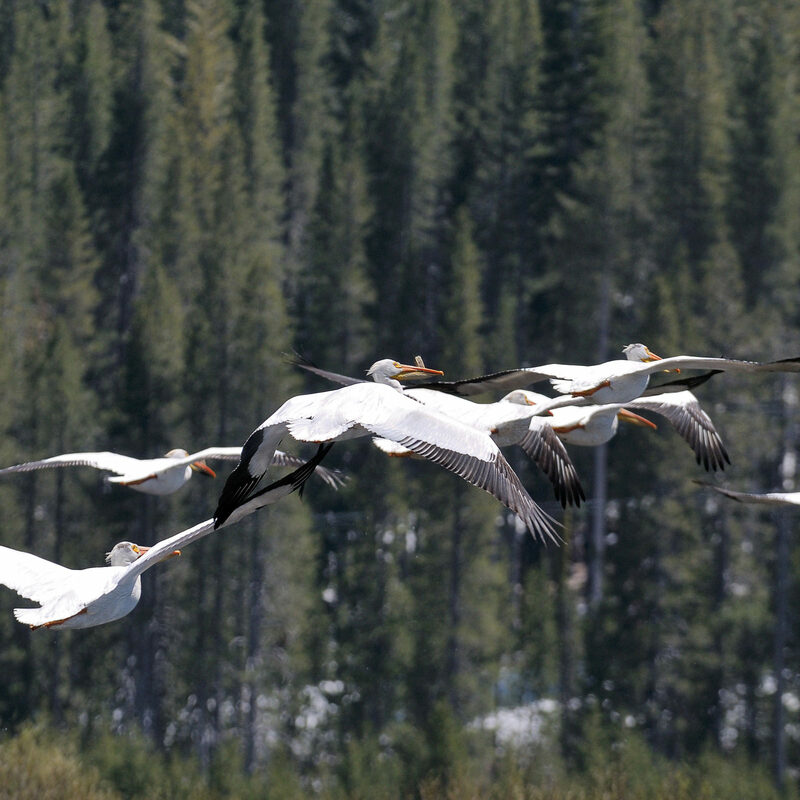 American White Pelicans rest on the way to and from Salt Lake. A lucky birdwatcher may get the chance to see a flock spiral down to land on the lake. Click here to read more about Van Norden Meadow.